Stonehenge - When was Stonehenge built? The more it's studied, the older it seems to get. Geoffrey of Monmouth, who lived in the 12th century, attributed it to the wizard Merlin at the time of King Arthur, just as the Saxons were arriving. The first official excavation took place in the 17th century when the British government commissioned architect Inigo Jones to study it. He concluded, based on its layout, that it had been built by the Roman Empire during the Roman occupation. When the science of archaeology was born in the 19th century, Stonehenge was a natural target for study. In 1918, it passed into state ownership and the first scientific excavation took place. Evidence showed it to be much older than even the Roman period. It was dated to about 1500 BC. Finally, in 1995, modern dating methods revealed it to be older still. The mound upon which the structure is built was constructed as early as 3000 BC. Between 2900 and 2500 BC, it was a wooden monument when timber pillars were erected. 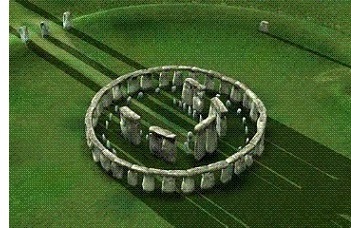 And sometime after 2500 BC it became the Stonehenge we know today when wood was replaced by the bluestones and sarsens. So the site itself is actually even older than the ancient pyramids, but the stone monument was constructed just after the pyramids were built. Interestingly, Stonehenge is considered a prehistoric monument since the builders at the time had not yet invented writing.